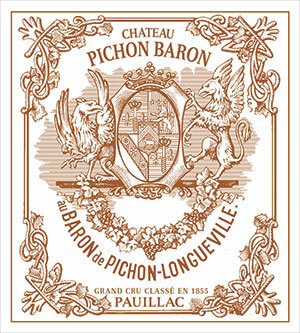 The 2005 Pichon Baron has a dense ruby/purple color, sweet crème de cassis fruit, lots of cedar wood and forest floor, medium to full body, ripe tannin, and a long finish of a good 30+ seconds. This is a beauty and one of the most successful Pauillacs of this vintage. Drink it now through 2035. The Château Pichon-Baron 2005 has a not dissimilar bouquet to the Pichon-Lalande with bright red and black fruit infused with cedar and violets, almost Margaux-like in character. The palate is medium-bodied with firm tannin: more masculine than Pichon-Lalande, you could almost say more rustic. Yet there is immense length and persistence here, real depth and vigour on the muscular finish. Yet I might just prefer the property over the road in this vintage.